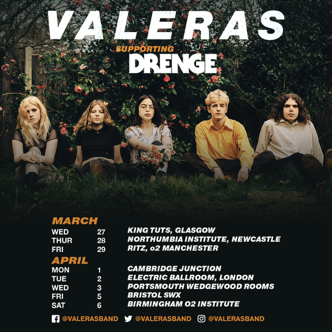 Fresh from their debut BBC Maida Vale Live Session last week (20.03); emerging Reading 5-piece VALERAS, have announced they will joining grunge-rock heavyweights DRENGE on their imminent UK tour. The 9-date tour, which commences this evening (27.03) at the renowned King Tuts venue in Glasgow, will culminate at the 02 Institute Birmingham, by way of Newcastle, Manchester, Cambridge, Portsmouth, Bristol and notably London’s Electric Ballroom on Tuesday 2nd April. 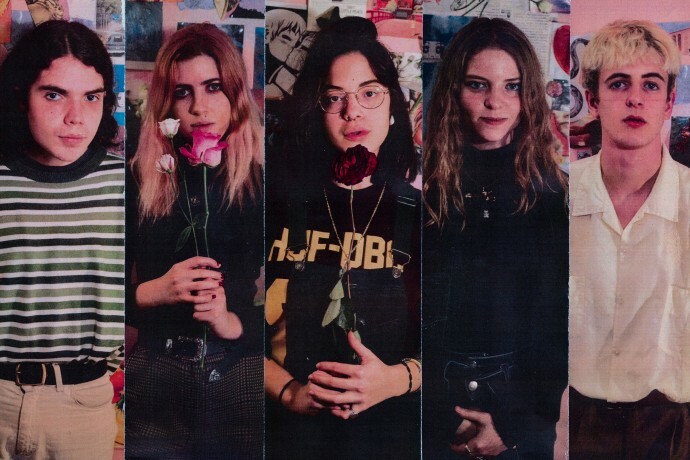 In the wake of new single Ricochet (Nunca Morirà) which has seen copious spins from BBC Radio 1 including Jack Saunders and Annie Mac; VALERAS have been charting a steady rise to notoriety since their inception in 2017 and firmly cementing a name as one of the most sought after new live acts of 2019. Never shying from addressing close-to-the-bone subject matters – sexuality, displacement, family sacrifice and loss - Venezuelan born powerhouse and front-woman Rose is force to be reckoned with and VALERAS, an important new voice for 2019. VALERAS, will play a slew of UK and international festival dates this summer including Mad Cool in Madrid, The Great Escape and Reading & Leeds, alongside preparing for the release of their next single, with details soon to be announced.